Poker is a high stakes card game. Players combine strategy, skill and luck, often risking everything in a bid to win cash prizes from their opponents. Originating from New Orleans in the 1800s, poker is possibly the most popular gambling card game in the world. What is the Biggest Poker Tournament? The biggest poker competition in the world is the World Series of Poker Main Event (WSOP). Every year, hopeful contestants take part in the widely viewed event in Las Vegas, Nevada. 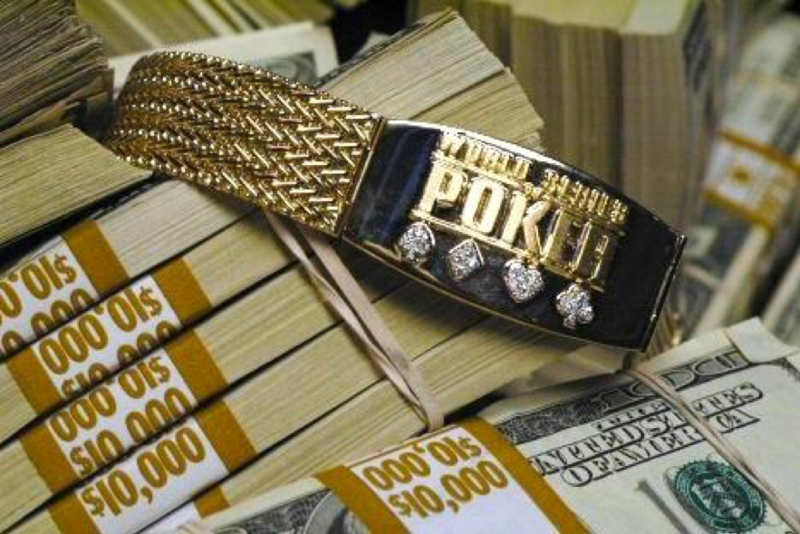 Players battle each other throughout the competition, aiming to win the enormous cash prize (est $8.5million dollars or £6.5million) as well as the highly regarded WSOP bracelet. What is the Biggest Poker Tournament Ever Held? The biggest tournament ever held was the 2006 WSOP main event. After battling his way through a fierce competition at the table. Jamie Gold from the USA managed to keep his nerve and take home the gigantic $12,000,000 prize (the biggest prize in WSOP history). 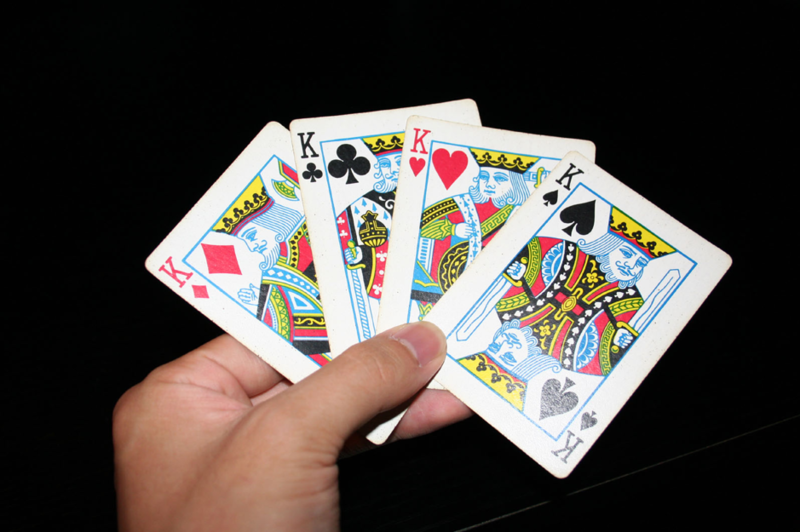 Contract Bridge is one of the worlds most popular card games. It’s not easy to learn, but it is popular and played by millions of people worldwide, it’s especially popular among elderly people. The game usually involves 4 players split into teams of two. The object of the game is to win tricks and contracts from your opponents. Contract Bridge takes a lot of thought, skill and luck and its world championship match promises a huge payout. What is the Biggest Contact Bridge Tournament? 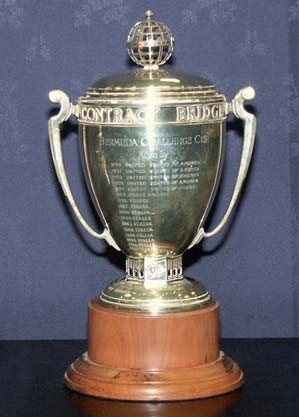 The Bermuda Bowl (run by the World Bridge Federation [WBF]) is the biggest competition on the Contact Bridge Calander. Also known as the bridge world championship, it’s held every two years in a different location. The competition first took place in 1950 and is still running strong to this day. Winners of the Bermuda Bowl usually take home the much sought after trophy as well as a large cash prize. The most recent tournament took place in Agust 2017 in Lyon, France where the winner took home a staggering $270,000 as well as the elegant Bermuda Bowl trophy. Magic the Gathering, created by Richard Garfield and released by Wizards of the Coast in 1993 is both a trading game and digital collectable card game. Players act as wizards (commonly referred to as planeswalkers) and compete using magic cards to outwit their opponents and win the game. What is the Biggest Magic the Gathering Tournament? 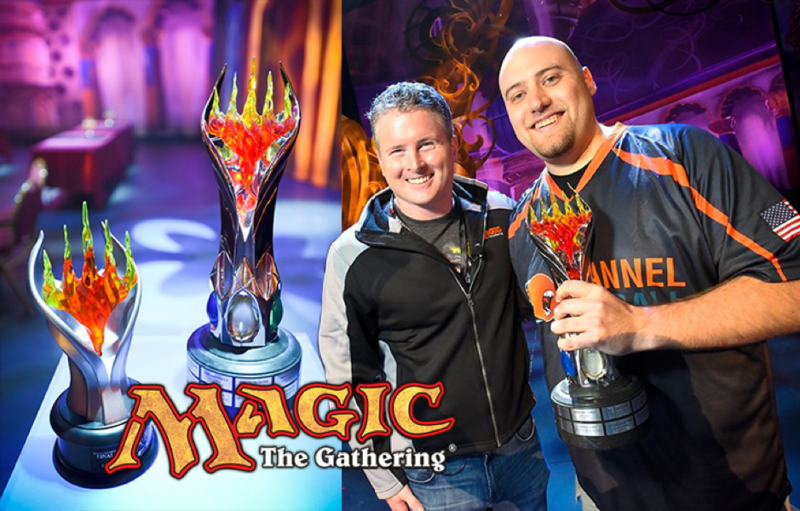 The best magic the gathering players from all around the world compete in the magic the gathering world championship. Players battle their way through the competition, trying to win their share of the huge $300,000 prize pool, though only one winner can take home the $100,000 prize 1st place trophy. The last winner was Javier Dominguez, a Spanish man born in 1987 and now $100,000 richer. When was the Biggest Tournament? In 2015 the Las Vegas Magic the Gathering Grand Prix became the largest trading card game tournament of all time. A colossal turnout of over 7,500 players turned up to compete for the cash prize. There were even on-site vending machines with rare cards inside them. The planeswalker trophy, designed by Nicholas Fair & Volpin Props. It's the most sought after trophy in all of the magic the gathering community. Yu-Gi-Oh! Is a Japanese Manga and card game series based on a magical story and battling monsters. Yu-Gi-Oh! is one of the highest grossing card games of all time. The main aim of the game is to use monster attacks and spells to reduce your opponent's life points to 0. What is the Biggest Yu-Gi-Oh! Tournament? Every year, thousands of duelists flock to the Yu-Gi-Oh! World championships, competing to become the next world champion. The most recent tournament took place in Chiba, Japan where Wang Chia Ching, a 27-year-old Taiwanese man took 1st place against Bohdan Temnyk from Australia. In 2013 the 100th Yu-Gi-Oh! 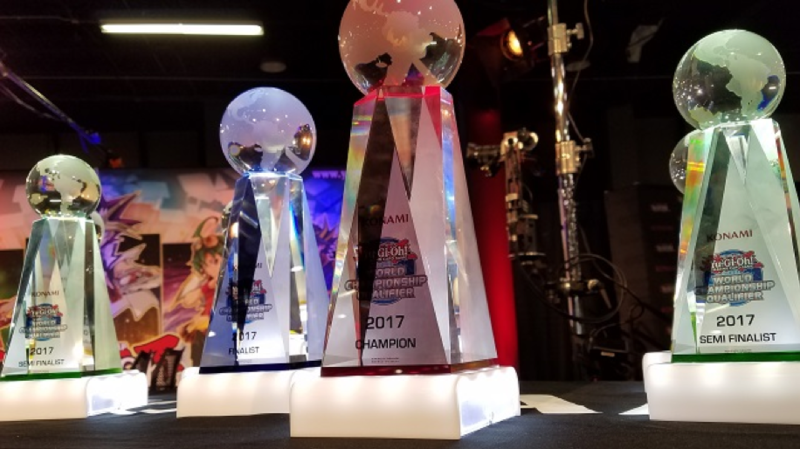 Championship series was held in Long Beach, California broke the record for the largest trading card tournament ever held. 4,364 players turned up to battle for the honour of 1st place and of course to win the 1st place prize.. Most importantly, what trophy does the winner receive? The winner of the Yu-Gi-Oh! World Championships receives a one of a kind trading card. One that will not have been seen before and illegal real matches. Its value depends on the market for the card at the time...but it’s usually a huge amount of money. What's your favourite card game? At Jackson Trophies, we have a fantastic selection of card game trophies. Why not take a look at our card trophies page to get a prize for your tournament.